This month has brought through some good changes!! I started walking more with an accountability partner. I'm working out for a half hour 5 days a week and going to yoga once a week (usually). Next month, I hope to increase my working out to one hour a day five times a week. Isn't that what the wellness journey is all about? Incorporating some good-for-you changes and seeing how they work with your body and within the harmony of your family!? Such as my posts have suggested thus far in 2015, New Year Solutions and Diets Fail!, movement is a key component of your wellness journey but my heart and attention usually falls in the realm of nutrition. Find what you're good at and then slowly add in other elements. This brings me to my post: Recently I borrowed a bread machine. I've tried numerous breads in the oven and FAIL! In this bread maker, I'm baking gluten breads to start. You see, my family isn't gluten free but like gardening, I feel I've got to start somewhere. I'll draw back to the garden statement in a moment. So far I've made three loaves with gluten and they're getting better with each loaf! Now, I must caveat and mention that I've baked sweet (mini) breads in the oven - zucchini (will publish on 3/2), chocolate, carrot, banana, etc., all without fail. The sandwich bread has been the tricky one in the oven. 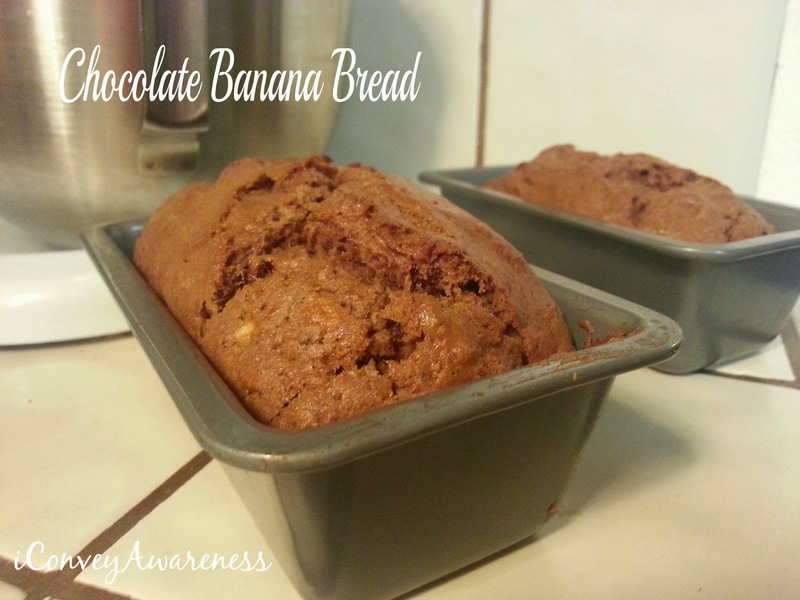 One afternoon while my gluten bread was baking in the machine, I saw my brown bananas sitting on the counter. About every other month or so I make my banana bread recipe and the last time I forgot about trying my hand at the gluten free mix. 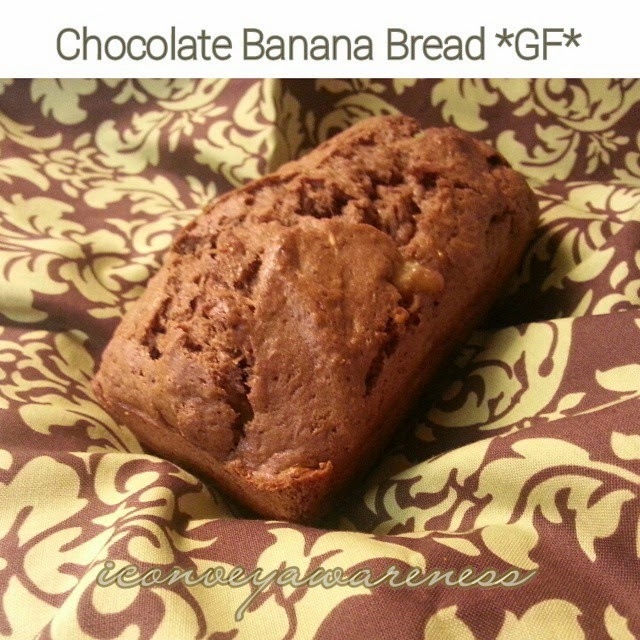 This time around, I made my favorite of all time banana bread with the gluten free mix flour (I had purchased it in the gourmet aisle at the local department store, Marshall's). So I cheated and used the mix but I did call them and ask the source of the xanthan gum - it is nonGMO! I wasn't sure if I was supposed to use baking soda like in my original recipe (link above) so I threw it in anyway. Sometimes when it doubt, leave it out, but I went with my gut on this one, and left it in. 2) We all start somewhere. So if you're strictly gluten-free, this recipe may not be well suited because I didn't evaluate every ingredient for gluten. In my research, using baking soda made in a dedicated 100% gluten free facility may be best. However, if you're wanting to try something new or want some shortcuts if not strictly gluten-free, this recipe may work. Many of the gluten free flour mixes are usually chock full of GMOs - corn and other derivatives that are not clearly labeled. So when in doubt, you can leave it out, or you can call the company direct and inquire like I did with the brand I used, Sugar and Spice Market. They said that their packages in the future will say made with all non-GMO ingredients. So keep your look out for the updated labels. Most of you know that I want to own an aeroponic gardening system but I haven't made the purchase yet mainly because of the windy season in the desert but I'm hoping to just do it soon. However, starting in the soil, allows me the experience to understand growing and harvesting times and honestly, it's pretty darn therapeutic. There is a process. Just like life. Our wellness journey is a process. Again, we all start somewhere and you may find yourself in a great place in a couple months but if you never start, you'll never know, right?! 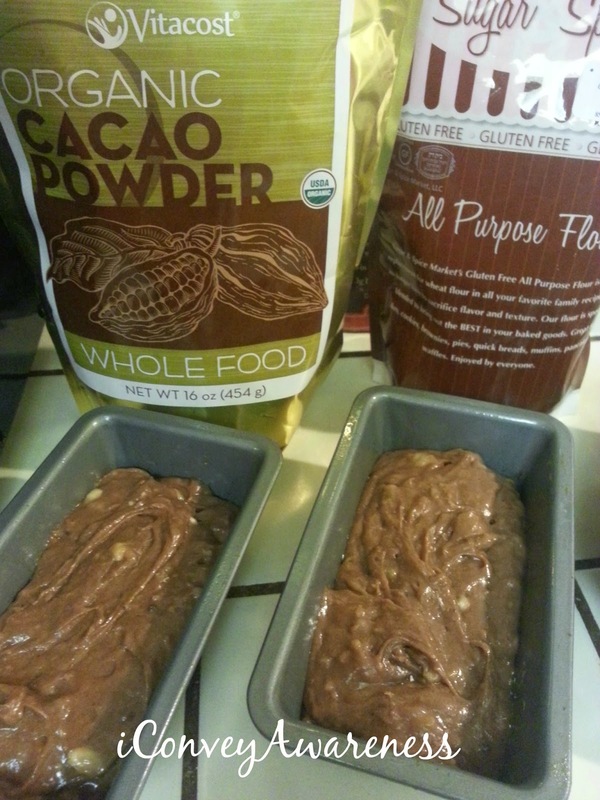 So with the bread making experience and with this recipe, gluten free chocolate banana bread, I had to start somewhere! If you're gluten free and can make this recipe better and / or 100% gluten free, please leave a suggestion or a direct link to your blog post. I know that I will eventually be buying more gluten free flours (always nonGMO) and more of the mixes down the road. In my personal wellness journey, I find that when I eat a variety of whole foods including whole grains, I feel great. If I overdo or eat too many of one whole food (other than fruits and vegetables), I don't feel well. So, I seek a balance and I always pay attention to source and quality. Plus it's super fun to eat the [real] rainbow daily! In everything you do, listen to and honor your body and be open to trying new things that align with your wellness journey! 1. In a large bowl, mash the bananas. Add the melted butter and mix with a wooden spoon. 2. Add sugar, cacao, vanilla, and egg. Mix. 3. Sprinkle baking soda and salt over mixture and mix in. 4. Add the flour last until mixed. The smashed bananas may cause a few lumps in the batter - that is okay because it will create the pockets of banana after it's been baked. This is a good thing! 5. Pour the mixture into mini loaf pans (like these) and bake for 26-32 minutes until middle is done (if using full size pans, you'll bake between 52 and 58 minutes). This recipe like my bread with whole wheat flour and ground flax (link again) is moist and has it Has Pockets of Banana All Throughout! YUM-O!! Yields: 3 mini loaves or 1 loaf pan. When cool, wrap in foil and store on counter. Warm up as needed. Keeps about 4 days. P.S. I found this helpful resource about when to use baking soda vs baking powder and why it's important to have a pre-heated oven when baking. I do receive a small commission from my affiliates if you purchase anything through their sites using one of the links above (read my full advertising disclosure here). Download my free eGuide when you subscribe to my newsletter and / or subscribe to my blog here to never miss a post. Delicious. Will have to try this. 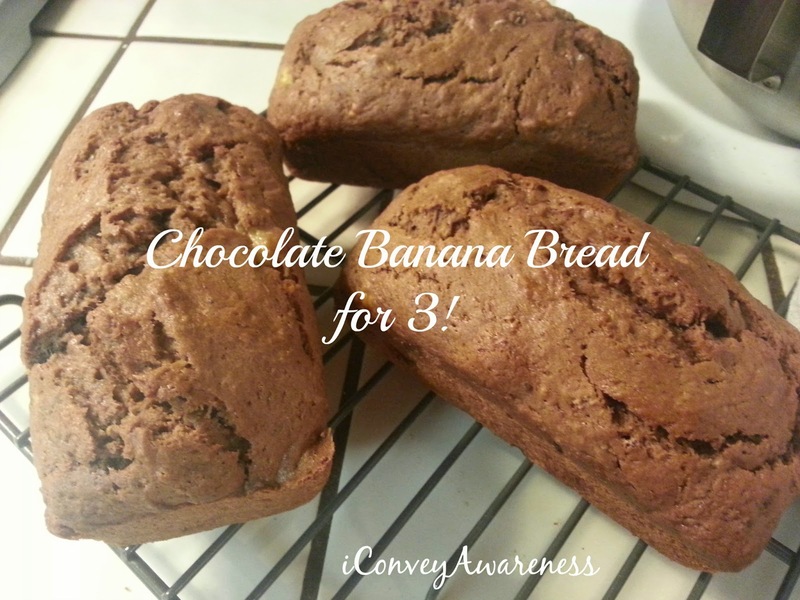 How could anyone say no to chocolate banana bread? Talk about amazing. :) Thanks so much for sharing it at Savoring Saturdays, Jessica. I'm going to feature it at this weekend's party - hope to see you there!